"As promised, this is free track "Shine" together with my mate The Eretik!! 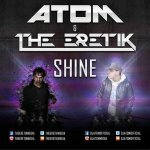 Enjoy "
"As promised, this is free track "Shine" together with my mate Atom!! Enjoy "